Check out the UDL Toolkit! Want to Read More on UDL? Interested in having your students become more aware of global news and communications? Check out the web service Kiosko. 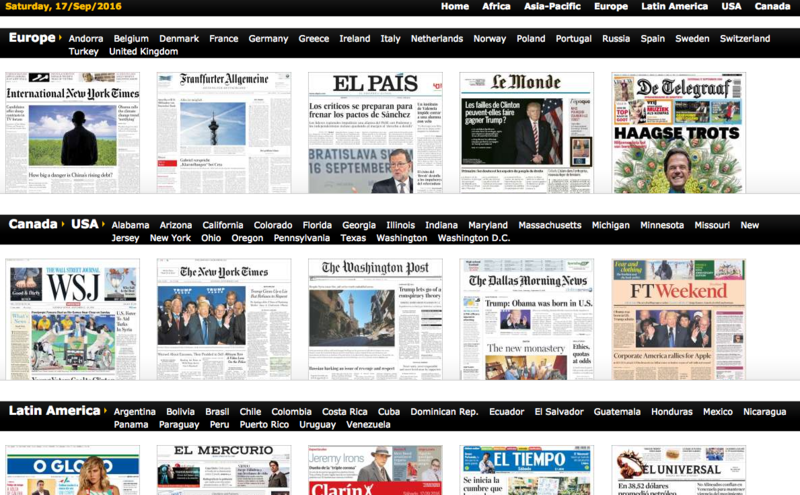 While it presents the newspapers in their original languages, Kiosko does also include a translation application. How might you use an easily accessible website such as this in your teaching? Can it help you globalize your curriculum in any way? I have tried Google Sites to create web sites in the past. In fact, just this semester. Like many of you, I’ve found it okay. It’s free. All my students have access to it. Privacy can be controlled. But I’ve also found it outdated and clunky to use. Not intuitive. Not resulting in nice-looking webpages. So, I’d use it, but mostly because it was the most simple answer to some of my web-based work problems. But great news!! Google has launched a new and updated version of Sites just in the last few weeks! And though I haven’t used it yet (I plan to in the Spring of 2017), the reviews of early adopters online are excellent. Go to your Google Drive. Click on the blue “NEW” button on the upper left. Look for the blue icon that says “Google Sites” and click! You’re there! You can find a helpful cheat sheet by Jenni Judkins here. It is part of a longer, inviting overview, which features a walk-through of the features, here. I’ll post updates as I work more with this new application. If you’ve used it, please post a comment and let us know how you like it, what worked, and what didn’t. If you want to make visual exciting images, pages, or videos for use in your teaching… or if you want students to engage in this level of creative communication of the knowledge they are gaining in your class… check out Adobe Spark! the only integrated web and mobile solution for creating and sharing impactful visual stories. Free and designed for everyday communications, Adobe Spark empowers anyone – including small businesses, social marketers and students – to create stunning visual content that engages audiences across multiple channels and looks great on any device. Adobe launched Spark in May of 2016. Visit this site for a quick overview, including several demonstration videos. Below I’ve included one of many YouTube tutorials on how to make videos (narrated slides) with Spark. This one comes from the YouTube channel Technology for Teachers and Students. But Spark lets you do more than just videos. Below is another tutorial on how you can use it to create web pages. You can also use it to make what they call “posts” or quick combinations of words and images for posting on social media (or Moodle, or in emails to your classes…). Click here to go to Spark. You can use your Google account to create a login, and then get to work creating! Have you used Spark? We’d love it if you could share your experience, tips, or techniques in the comments. Have you found other good tutorials for Spark? We’d love it if you’d share links in the comments below. Check out this terrific blog post entitled “100 Videos and Counting: Lessons from a Flipped Classroom” by Joe Hirsch on Edutopia. In it, Hirsch talks about his experience moving from traditional pedagogy to a flipped approach to learning. Much of this course redesign relies on the creation and use of videos which introduce students to content outside of class, so that time in class can be spent working with the content itself. Consider some of his main points and how they would guide your course redesign as you pursue online pedagogy. It is not about the video’s razzle dazzle, but about the structure of solid learning tools. For instance, the best length for videos is two to five minutes! Embedding quizzes and collecting data about student access to videos takes a lot of the mystery of their learning out of the process. He talks about how he accomplishes this. Plan backward and give students plenty of time to access and process the content materials. They are busy people. They need to be able to work ahead and around the other aspects of their lives. The redesign required to do this well will bring many pedagogical issues to the forefront. Things we have done for years come into question and we study the best ways to go forward in this new teaching medium. It can’t help but improve your teaching! As a bonus, Hirsch also includes a section on how he has used his “flipping” skills to improve other things like faculty meetings and so on. Have you flipped your classroom yet? Maybe one lesson or a unit? What tips and tricks have you learned along the way? Online educational resources, or OER, abound! 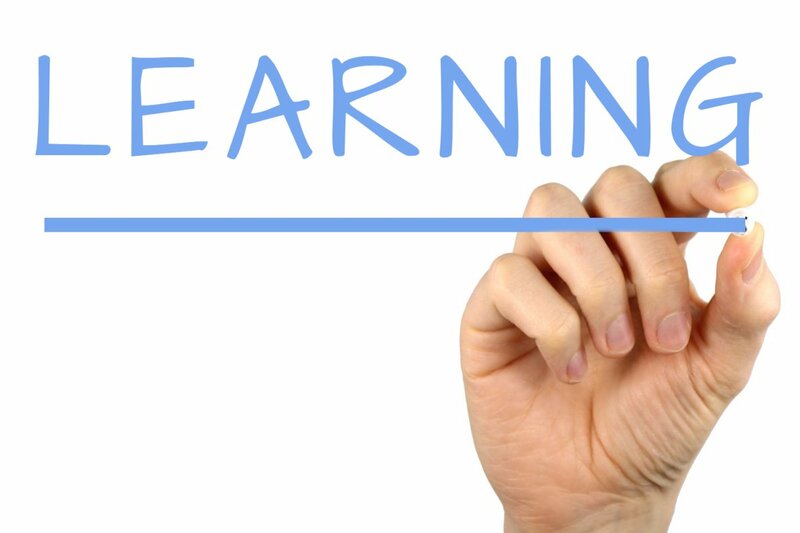 As you consider moving lessons or units or even entire classes into the flipped, hybrid, or online environment, remember that you don’t have to create every single learning resource yourself. Plenty of qualified people (many of whom probably have more production resources than you), have been creating and sharing this stuff for years. It’s worth it to familiarize yourself with some of the resources out there. Today we’ll look at the YouTube Channel Crash Course. Looking for engaging videos to introduce subjects to your students for quick information or discussion? Or: do you want to learn about the educational videos many of our students have grown up loving? Knowing what they are used to in terms of educational videos can help you as you consider creating your own online lessons. Check out the wide range of topics covered at the YouTube channel Crash Course, which was founded by noted author John Green and his brother Hank Green. Originally they covered literature, history, biology, and chemistry. Recently the channel has grown in scope. Now they have other experts working with them, covering a wide range of subjects including economics, physics, philosophy, game theory, government, anatomy, and so on. You can look at a quick 2014 introduction here, which explains their philosophy. Check out the channel to see what else is available. We can learn a lot by watching this channel–not only about the subjects they discuss, but about how to make engaging online experiences for our students. Of course, most of us don’t have the production team which the Greens use! But, we can still observe a lot about pacing, editing shots, writing techniques to captivate and so on. Have you or your students ever used Crash Course? Tell us about your experience. Have you ever made an instructional video? How did it compare to these? What was successful about your video? What would you like to do differently? I love this idea, as I really believe this lies at the heart of the best of a liberal arts education. By taking courses in many areas, students learn different ways to think, to learn, to approach and solve problems. In this short video, Adam Elga and Simon Cullen argue that most of us ask students to write and think with inappropriate expectations and inadequate support. It is, they say, like standing in front of a class and juggling three balls, then expecting them to learn and do it simply from watching us do it. There’s some food for thought–I wonder how often I do that sort of thing? Model for my students and then expect them to do something, without giving them ways to learn the skills and practice? Students report that this helps them read, write, and think more clearly. What a wonderful goal for all of us to pursue, no matter our content! Also, this method illustrates the extremely powerful combination of visual and verbal methods of recording and communicating. You can learn more about that by exploring the Combining Visual and Verbal category on this blog. Many free resources exist for students to create these argument maps in a mind-map type format. Check out this post for a quick list. decades of empirical research that has consistently established correlations between high student engagement and academic success. It doesn’t matter if the learning community meets in person daily, weekly, monthly or never at all. What matter is that students remain engaged with each other, with the instructor and with the course material. How do we know if our students are engaged? What does student engagement look like? In an article in Faculty Focus, author Maryellen Weimar summarizes recent research on the nature of student engagement. Most importantly, she points out that one of our most traditional ways of assessing it–participation–is not truly linked to engagement. In fact, the research indicates that nonverbal attentiveness is often a better indicator of engagement than participation. Behaviorally engaged students do what students are supposed to do in class. They adhere to the rules and norms, and they display behaviors associated with persistence, concentration, and attention. They may ask questions and contribute during discussions. Emotional engagement reveals students’ attitudes toward learning. Those attitudes can range from simply liking what they’re doing to deeply valuing the knowledge and skills they are acquiring. Cognitive engagement involves effort and strategy use. It’s wanting to understand something and being willing to go beyond what’s required in order to accomplish learning goals. Those who are cognitively engaged use strategies associated with deep learning. All of these, the research shows, are malleable and respond to external forces. Extermal forces. That’s us, teachers. We are, in large part, the external forces that can impact our students’ behavioral, emotional and cognitive engagement. not all that cut and dried, not the automatic outcome of student interaction, and not an aspect of learning that works in isolation. Engagement, whether we are teaching in traditional, flipped, blended, or fully online courses, is complex and essential. And the good news is we can influence it to the positive! Did you know that you can embed quizzes, discussion questions, and other activities directly into instructional videos you use in your courses? Maybe you’ve seen this done on other websites, but didn’t know how you could do it yourself, at least, not without expensive software. Well, you can do it, and without much grief, using EdPuzzle, which you’ll find here. You can turn any video into your own flip. You can use resources from others that have been posted to YouTube and the like, or you can upload videos of your own. You can prevent skipping. The analytics show a completion percentage, so you know who completed the full assignment. Like Edmodo, you can add a due date to assignments. You can embed questions throughout the video. The video pauses automatically and moves forward only when students respond. THIS is gold! You can provide feedback responses to show after a student has submitted an answer so they receive immediate feedback. I like that when I require students to submit answers to open-ended questions, they can see the correct answer immediately after along with an explanation if I choose to include one. A report is produced that shows completion, grade, and turn-in date. Multiple choice questions are graded for you. Grading open-ended questions is easy, simply check whether is was answered correctly or not and EdPuzzle will calculate the overall correct percentage. Grades are given as percentages out of 100, not letter grades. You can add a comment to a student’s answer. I use this to clarify a misunderstanding, give tips or provide encouragement. If you want to give it a try, consider investing under four minutes in watching this quick overview tutorial about how to use EdPuzzle. For a more slowly paced tutorial, this video might be of use! Have you used EdPuzzle before? Share your tips and tricks in the comments below. Interested in creating concept maps, also known as mind maps or graphic organizers? Want to make or share any sort of visual/verbal connected diagram? Or what about having your students use these visual/verbal organizers as a quiz alternative, pre-writing for papers, evidence of reading comprehension, or hub for group work? While of course you can have your students hand write these (and there are many advantages to having your students hand write learning materials), you can also use a variety of free online tools for the creation of such documents. Here’s a list. All of them have free versions and work slightly differently. You’ll want to check each out to see what best fits your needs and the needs of your students! You’ll want to look for things like collaboration ability, ease of import and export, the ability to share, access from mobile devices–whatever you think important for your course’s needs. Google Drawings (a Google app you’ll find in your Gmail account) Provides real time collaboration. Can be used as a white board as well as a graphic organizer. Learn more here. You can learn about more tools, what concept mapping is, and ways to use it in the classroom at Kathy Schrock’s guide to concept mapping. Make Your Students Put Their Laptops Away! Make your students put their laptops away? That seems an odd thing for me to say, given that one of my job tasks is to coach teachers about online pedagogy! Shouldn’t they be getting their laptops out more and more? Well, yes and no. As with most things in life, it depends on the context. Check out this interesting NPR report about the disadvantages of students typing and trying to capture everything that gets said. Turns out, it doesn’t help learning, understanding, or retention. What does? Slowing down and moving your hands. Handwriting is as much a visual product as a verbal one. *That one exception: if students are using their tablets (and some laptops) to capture handwriting and drawing with their fingers or a stylus. Posted on September 5, 2016 Categories Combining Visual and Verbal, Education, TeachingTags concept mapping, engagement, mind mapping, sketchnotesLeave a comment on Make Your Students Put Their Laptops Away!